I’m a big fan of Orla Kiely’s fashion prints - so much so that I’ve bought the stem printed cushions for my home in Sunflower (£35 each John Lewis) which are normally on the grey sofa’s in my kitchen, but I brought them into the lounge for the shoot with the new Sicilian Lemon home fragrances which they go with so beautifully! 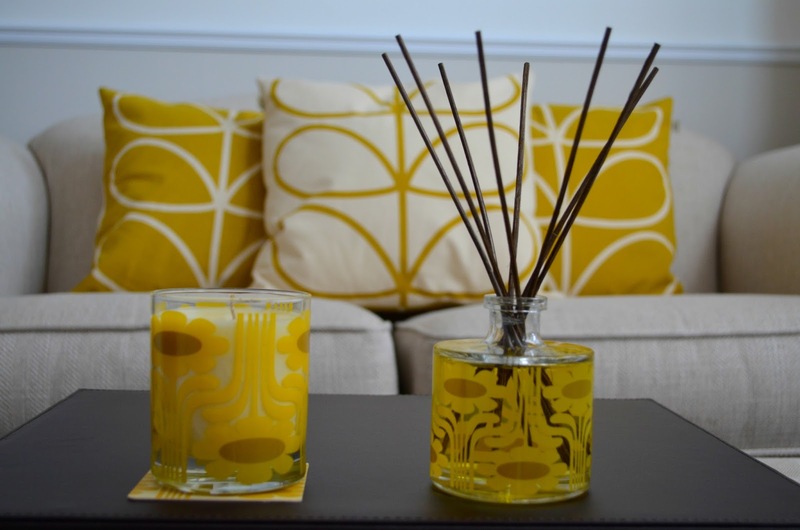 Orla Kiely has been doing home fragrances for a while now and has just added 3 new fragrances, Orange Rind, Lavender and the Sicilian Lemon which I’m enjoying. 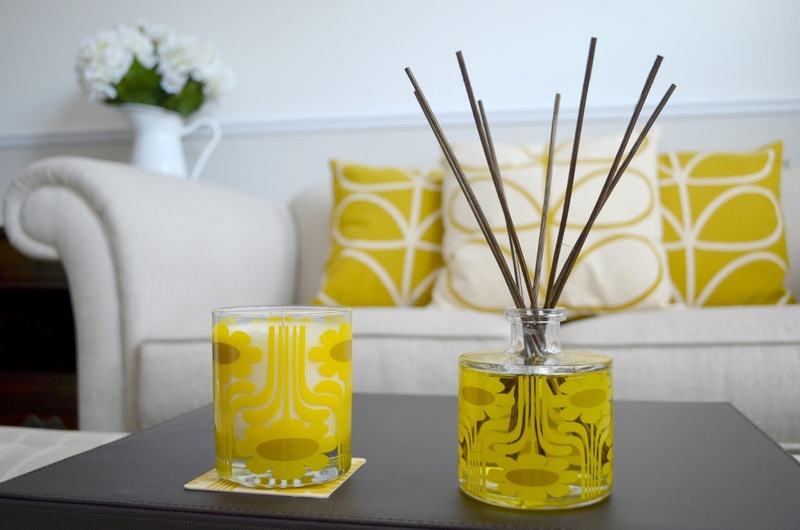 All featuring a Orla’s signature prints on the glass the diffusers (£32 John Lewis) and candles (£25 John Lewis) add a touch of colour along with fragrance to your room. The Sicilian Lemon is super fresh and as you would expect, very lemony. It is slightly sweet, reminding me of limoncello liquor which I love! Being so zesty, for me, this really is a spring-summer home fragrance as I like water and spicier scents in the cooler months. I do love that the candles come with a little heat protecting mat in the same design as the candle which is a really cute touch.